A Lazy Man's Ciopinno, it's seafood stew packed with fresh fish and fresh shrimp, all hovering in a light tomato-y broth. For those of us who live far from saltwater and a waterside fish market, it's a seafood-lovers's dream. Lazy Man's Ciopinno Made the List! So we've seen pictures of those big bowls of seafood stew at restaurants, right, especially along the Pacific and Mediterranean coasts? Ciopinno is a sight to be seen, an outright seafood spectacle: broth-filled bowls overflowing with fresh mussels and fresh clams cracked open, crab legs hanging over the side. That's ciopinno [pronounced, at least to my American ear, tchee-uh-PEEN-yo] and the name just sounds like an Italian seafood stew, right? And in a sense it is. But maybe you also remember the communal stew pot in The Old Man and the Sea, the fishermen tossing in contributions when the luck was good. I imagine that pot as broad and shallow with short legs, its contents kept a-simmer with hot coals and a few licks of flame beneath. And somehow a big pot strikes me as the more likely way that ciopinno was "invented" – a fish stew that emerged organically over centuries, claiming an abundance of sea creatures, from abalone to crab to mussels and octopus, whatever came up in nets and traps, the catch of the day but perhaps not the finest parts, perhaps instead the throw-away bits plus a few choice parts. A Lazy Man's Ciopinno, it's all the seafood-stew goodness without the drama, without the effort of digging clam meat from shells and cracking open crab legs. And it's also one of this Midwestern landlubber's oldest recipes, often a "special occasion" food since good fresh fish and fresh seafood travel many miles to arrive here in the middle of a big country, an equation that exacts both distance and price premium. So many years, I serve Lazy Man's Ciopinno on Christmas Eve with a loaf of crusty bread and a green salad topped with colorful chopped vegetables, at the same time a simple and festive meal. While the Ciopinno tastes rich, it's actually high in protein and very low in calories and carbs – so go ahead, we do, splurge on a Christmas Eve dessert! Ciopinno is also a fine choice for Fridays during Lent when many of us don't eat meat but forgo parish fried-fish fries. For special occasions, I invest in fresh shrimp and fish (and some times if I'm feeling adventurous, scallops and whatever else looks good in the fish case) but I also have good luck with grocery-store frozen shrimp and fish. When I visit my dad in northern Minnesota during the summer, fresh walleye and other fresh-water lake fish are great substitutes for salt-water fish and shrimp. A funny story. I've only had one bad pot of Lazy Man's Ciopinno, an unfortunate dinner choice on a Colorado ski trip when not a single nearby grocery stocked fish or shrimp, fresh or frozen. Out of desperation, we substituted spelt, an unfortunate choice. I don't recommend it although my skiing buddies still love to tell the story, their eyes rolling at the absurdity and catching me in a disastrous meal. More about ciopinno from The New York Times and Saveur. MAKE-AHEAD TOMATO BROTH Heat olive until shimmery in a large, heavy pot such as a Dutch oven. Add onion and and red pepper, stirring occasionally until just beginning to soften. Add garlic and let cook for one minute. Deglaze the pot with the diced tomatoes. Add the tomato sauce, clams, fish stock, wine, parsley, basil, oregano, salt and pepper. Bring to a boil, reduce heat to maintain a simmer and simmer uncovered for 15 minutes. Cover and simmer for another 15 minutes. 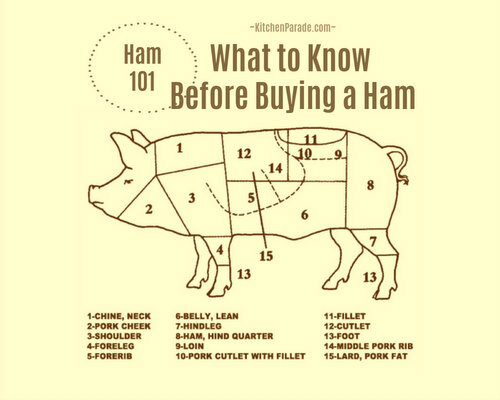 Let cool, then refrigerate for at least four hours, overnight is better still. While the broth cooks, prep the fish and shrimp. JUST-BEFORE SERVING Bring broth back to a boil. Add the fish and shrimp (including any fish for garnishing) and let cook until the fish is done and shrimp are cooked clear through, about five minutes. TO SERVE Ladle soup into bowls, topping each bowl with a large shrimp. ALANNA's TIPS Lazy Man's Ciopinno is great party food, just make the Make-Ahead Tomato Broth up to a day before. It also helps to prep the fish and shrimp ahead of time. If you’re cooking for guests, put the pot back on the stove to reheat before they arrive. They’ll walk in the door asking, “What smells so good?” Then add the fresh fish and shrimp to the pot just before serving. Slice extra bread for dipping out the last drops! Originally published in print in 2003; published online as Tiapinno (Ciopinno) - Herbed Fish Stew for the first time in 2008; column re-written and recipe updated as Lazy Man's Ciopinno in 2014. NUTRITION INFORMATION Per Cup: 216 Calories; 4g Tot Fat; 1g Sat Fat; 9g Carb; 2g Fiber; 474mg Sodium; 124mg Cholesterol; 4g Sugar; 32g Protein. 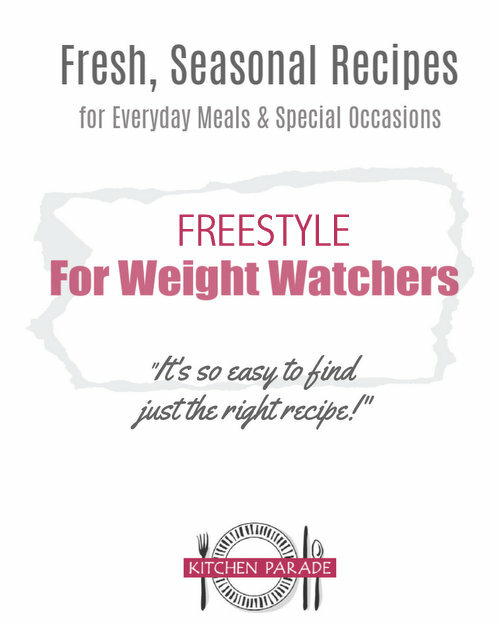 WEIGHT WATCHERS POINTS Old Points 4 & PointsPlus 5 & SmartPoints 4 & Freestyle 1. CALORIE COUNTERS 100-calorie serving = 1/2 cup (15g protein). My dear friend Lisa shared this recipe with me back in the 1980s, long before we were blogging, heavens, long before the internet! When she lived near Portland and had access to beautiful Pacific seafood, she shared what's now her version, Northwest Ciopinno. And I see from her post that her own recipe source was a 1979 Better Homes and Gardens Cookbook, "Favorite American Wines & How to Enjoy Them". I saved the bones from the sockeye salmon I got at my local grocery store (they flew them in overnight!) with the intention of making fish stock--between those bones, and my tomato stash in the pantry, I could make a go of this stew. It looks wonderful and I bet it's smells heavenly.